We are excited to announce TriForce Productions will debut with TV programme Sorry, I Didn’t Know, part of the returning ITV2 Fresh season this autumn. ITV2 returns with its successful season of brand new comedy and entertainment singles courtesy of BAME talent both on and off the screen. Following on from the success of last year’s specials, ITV2 Fresh unveils four brand new 30-minute singles, which showcase the breadth of talent and will air in the run up to the MOBO Awards on ITV2. The season has been commissioned by Entertainment Commissioning Editor Asif Zubairy and Head of Digital Channels Rosemary Newall. This year sees one-off specials from TriForce Productions, Sugar Films, Purple Geko Productions and Transparent Television covering a host of genres from mockumentary to scripted comedy. 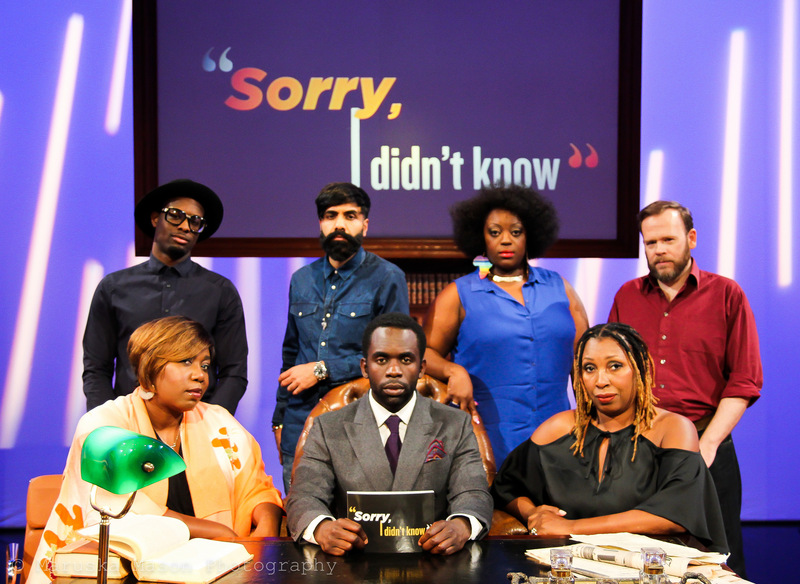 Sorry, I Didn’t Know is a classic panel show with a twist and is hosted by Jimmy Akingbola. Made by TriForce Productions, two teams of comedians (Chizzy Akudolu, Jo Martin, Jimmy James Jones, Toby Williams, Paul Chowdhry, Judi Love) will take viewers on a tour of black history across the globe. Insightful, educational. bold, tongue-in-cheek and above all very funny, the teams will battle over four rounds as they unveil some interesting historical facts. So tune into ITV2 on Thursday 3rd November at 8.30pm to catch Sorry I Didn’t Know!